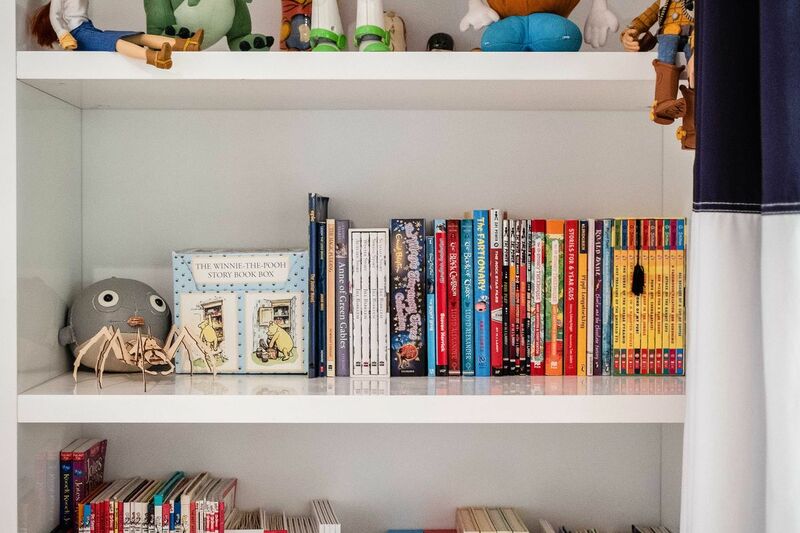 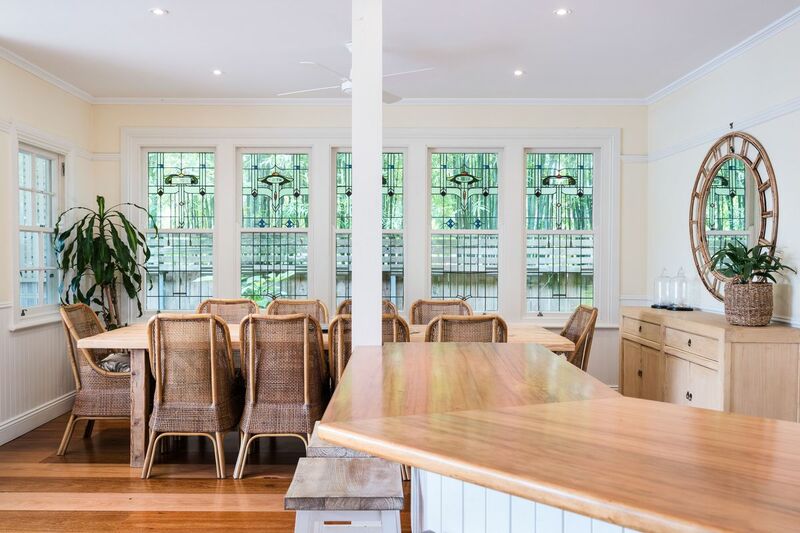 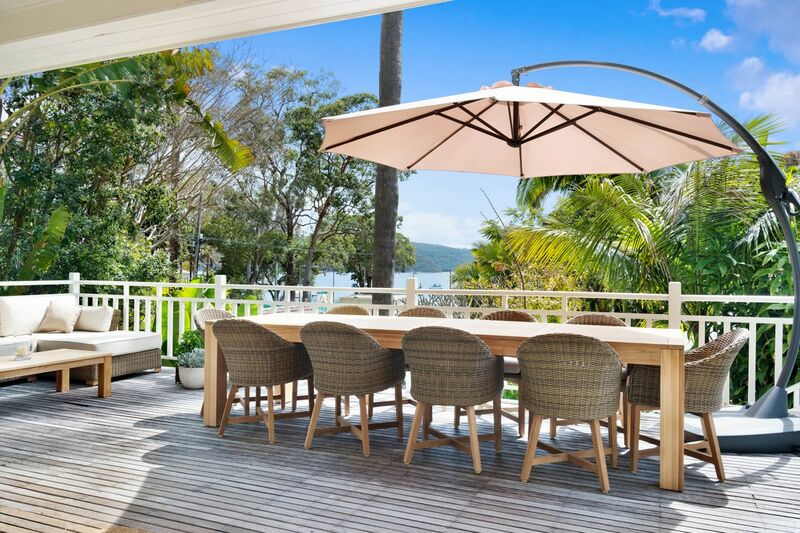 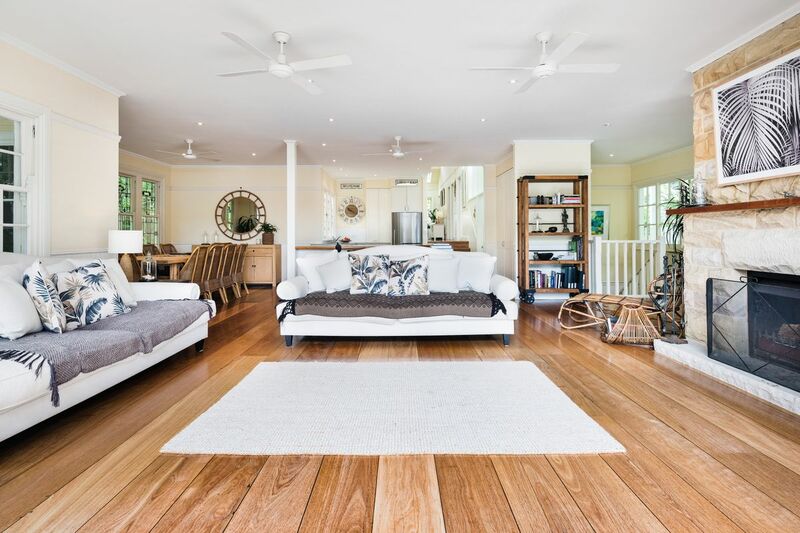 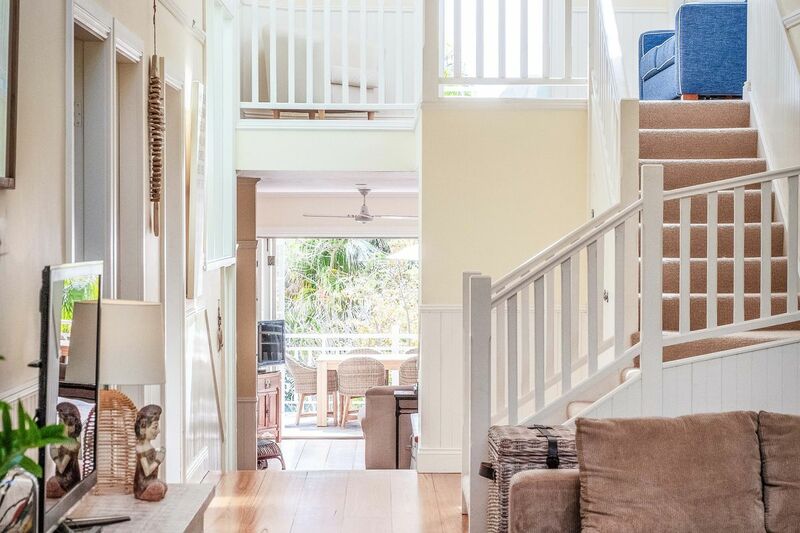 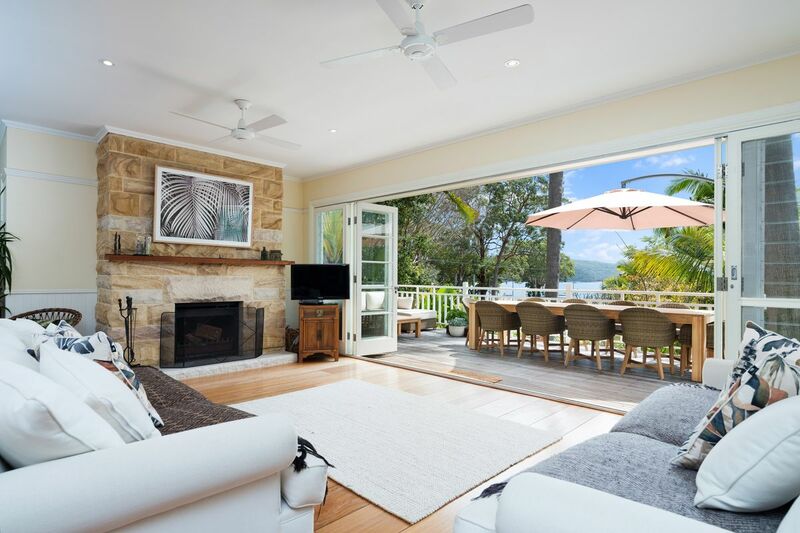 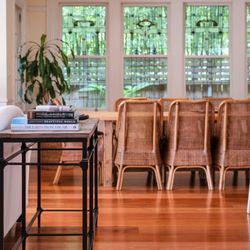 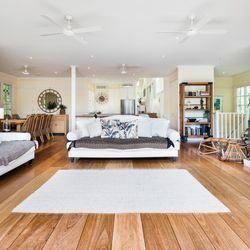 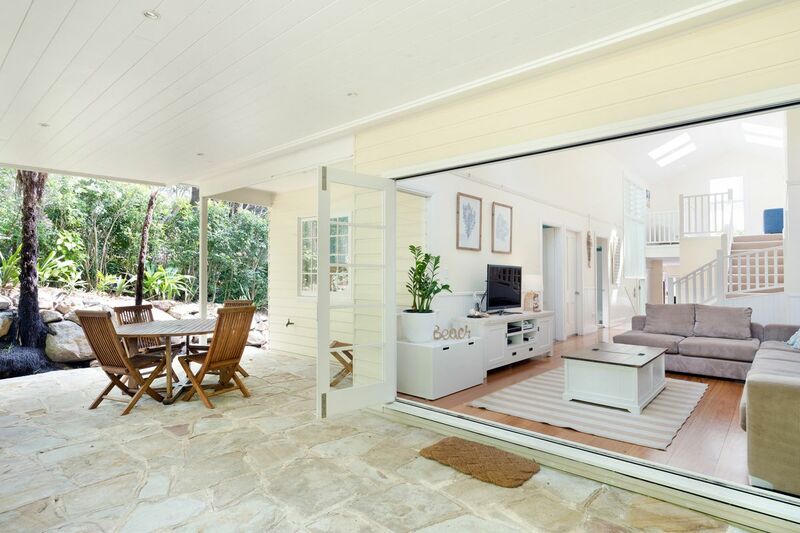 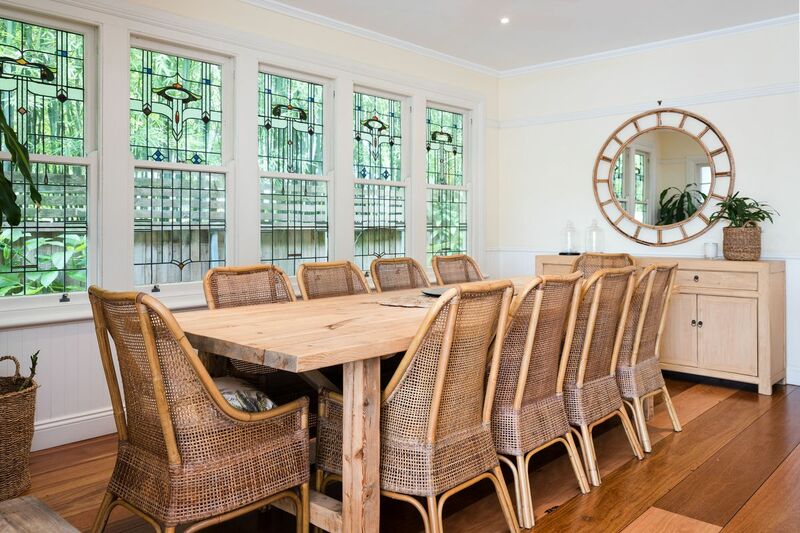 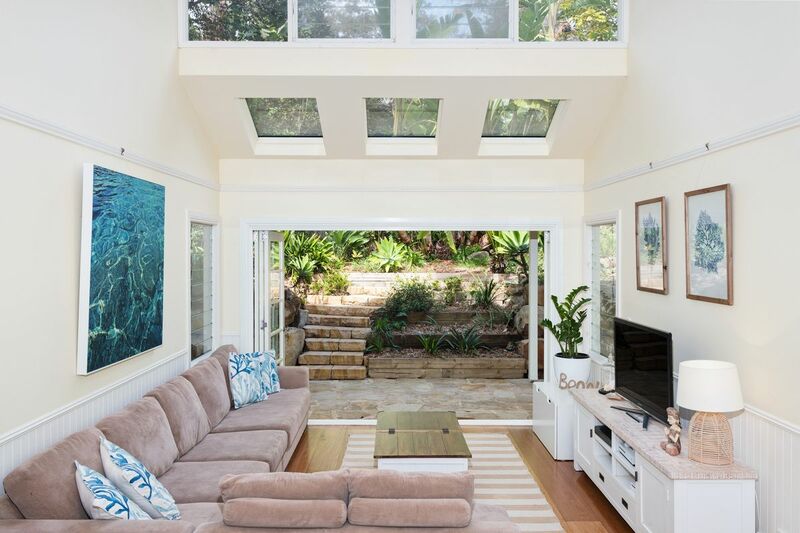 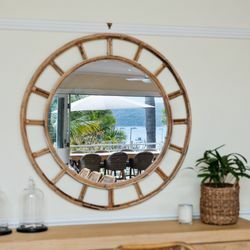 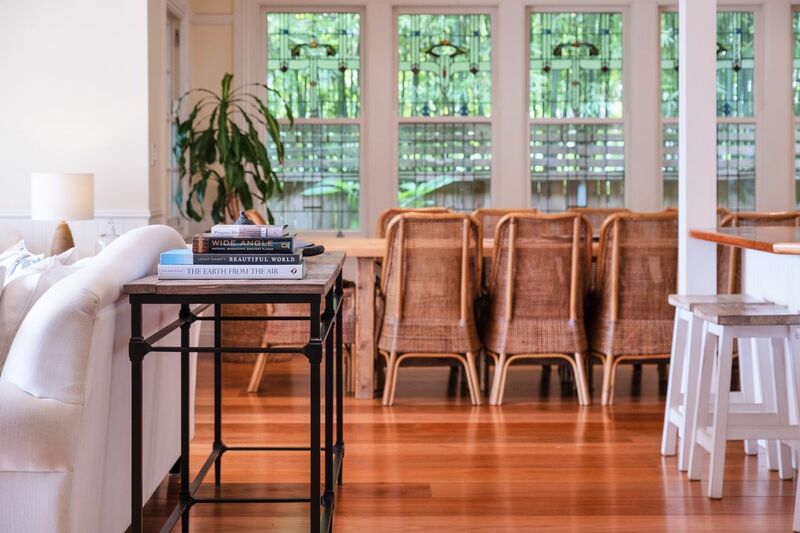 Cleverly designed for harmonious family Holidays and crafted with only the best materials, this superb family beach home is an extraordinary statement of Pittwater life. 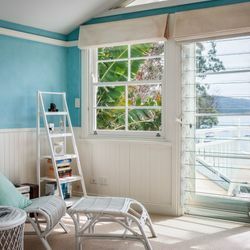 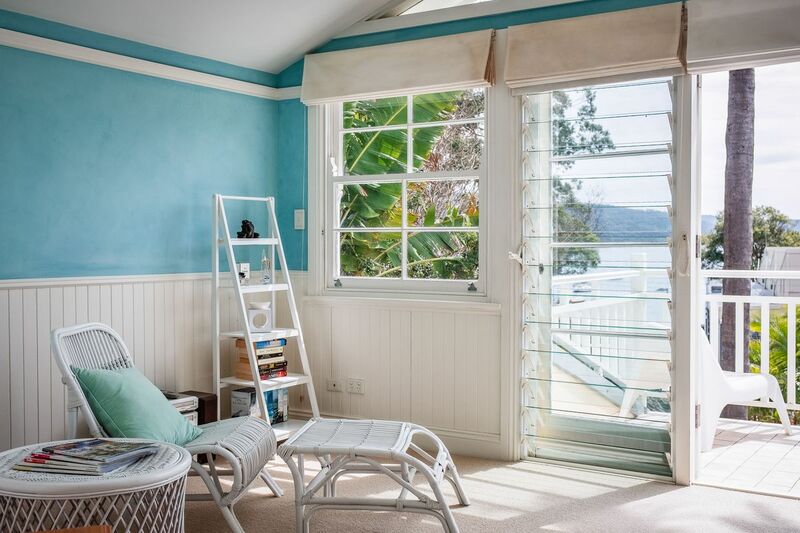 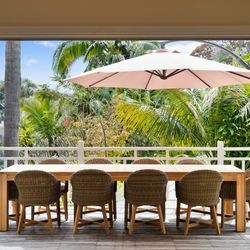 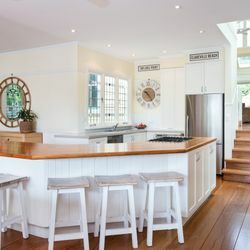 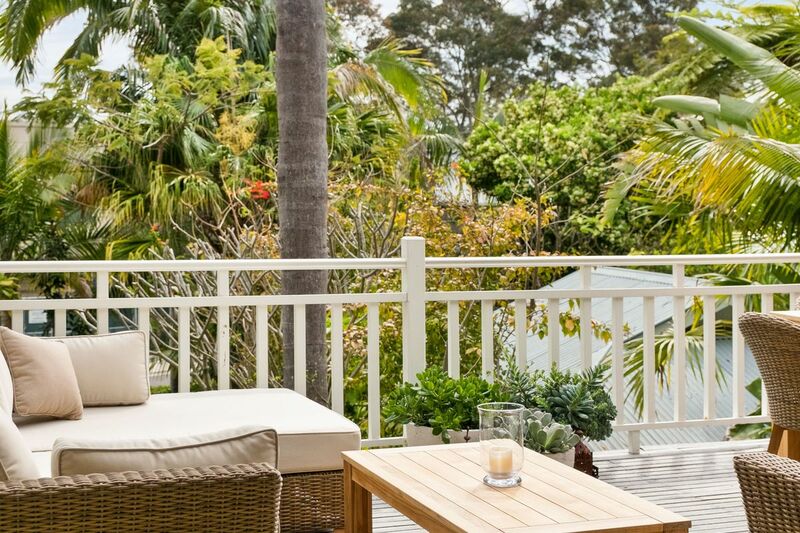 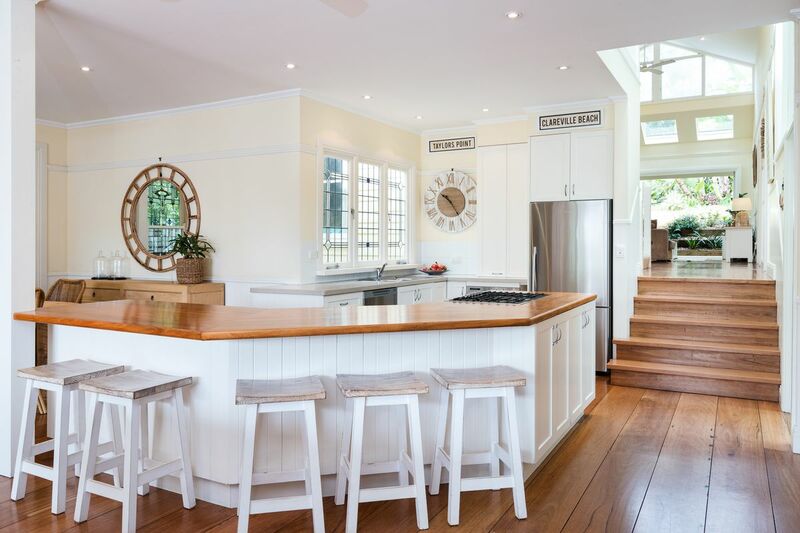 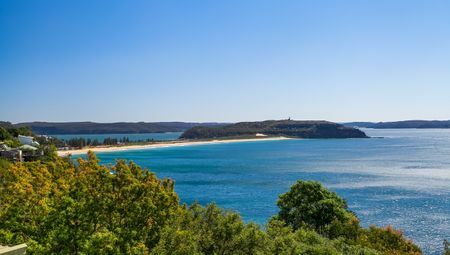 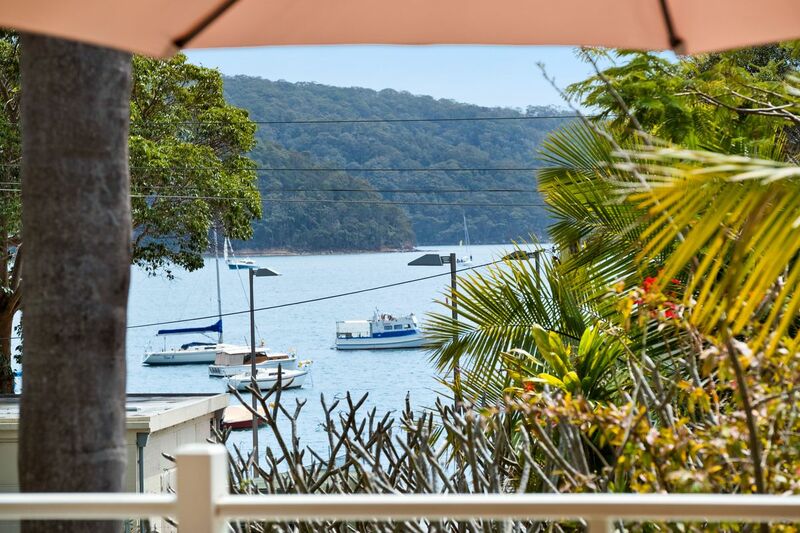 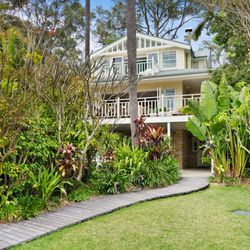 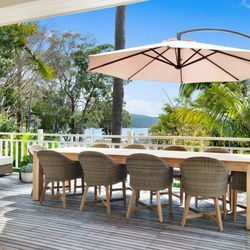 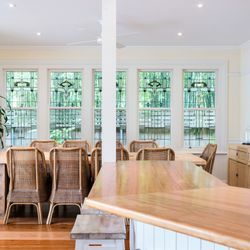 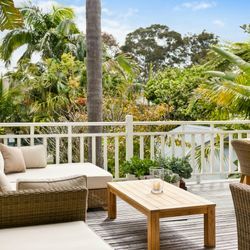 Featured in many household magazines and set directly across from Taylors Point Wharf and Long Beach, the home enjoys a direct north aspect, enhanced by close, sparkling Pittwater views. 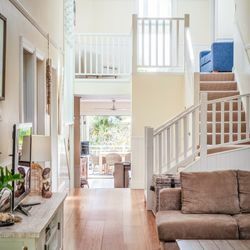 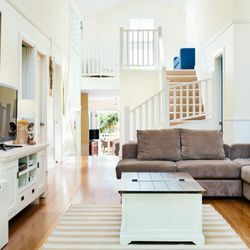 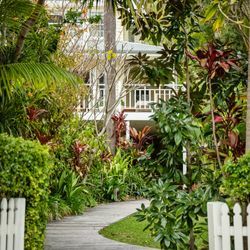 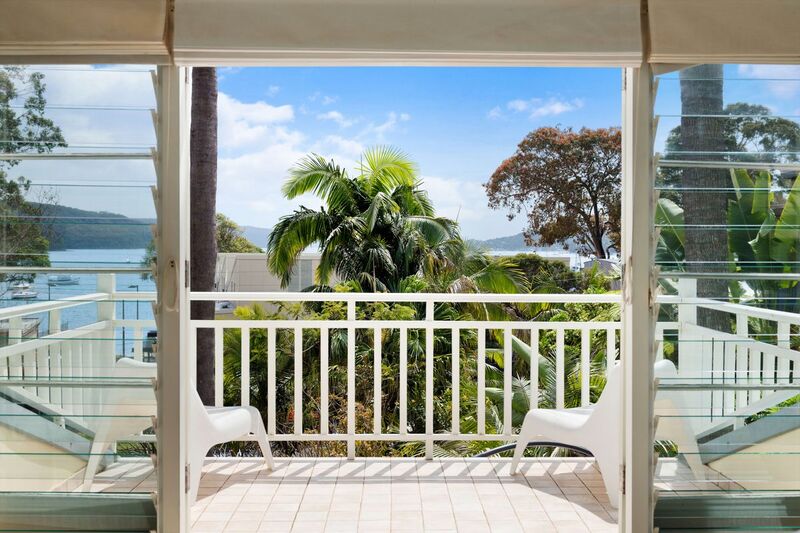 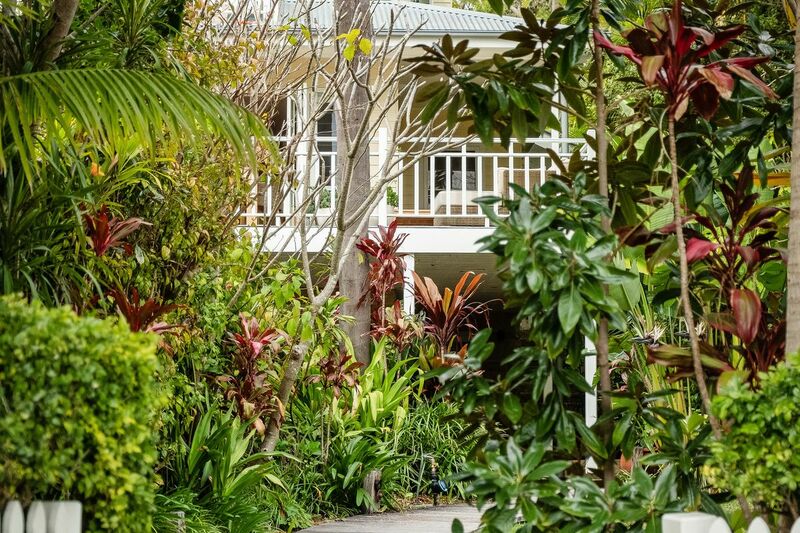 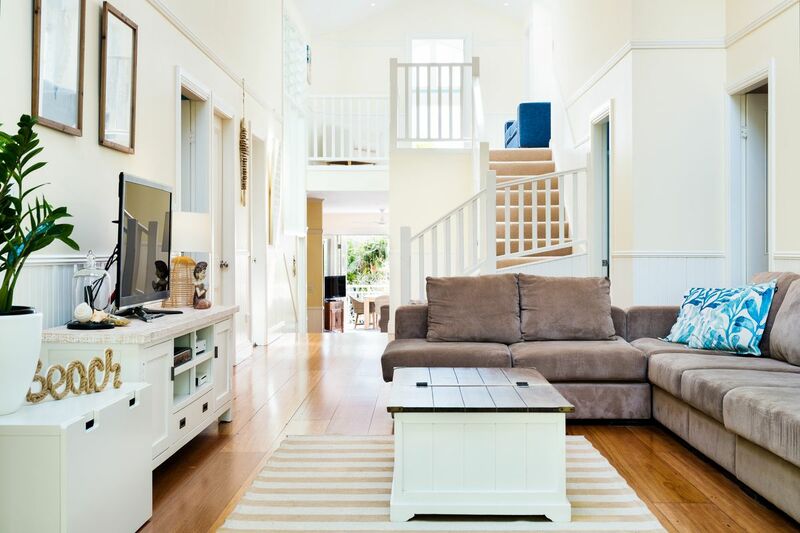 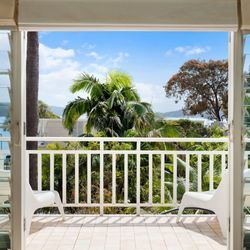 With rare level access and surrounded by beautiful tropical gardens, this three storey residence conveys a very special ambience, bathed in year-round sun so you can relax and enjoy your much needed holiday. 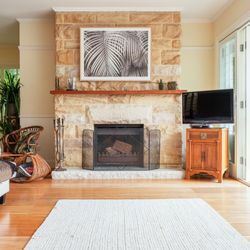 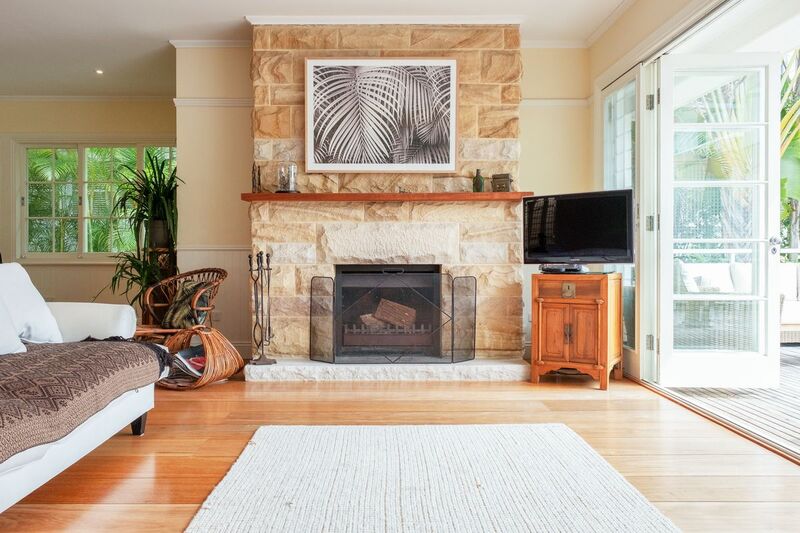 The main floor is dominated by the lounge room, built around a gorgeous sandstone fireplace which effortlessly opens up to a deep entertaining deck, through a 6 metre wide, bi-fold doorway. 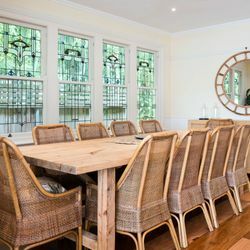 The lounge and dining rooms are further enhanced with the use of reclaimed wide floorboards and original Federation leadlight windows. 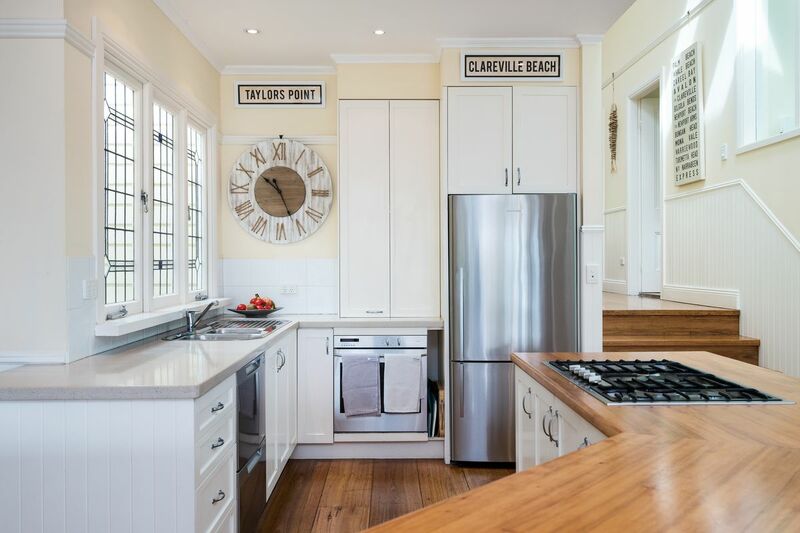 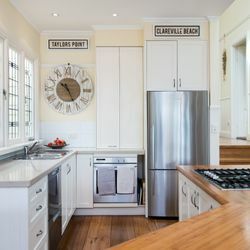 The kitchen is the family hub and features Miele appliances, enormous pantry plus timber and stone benchtops. 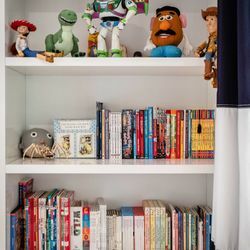 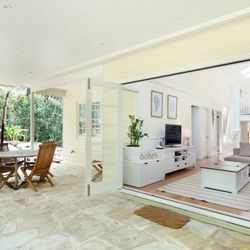 From here the home flows up to a second lounge room, positioned between three generous sized bedrooms, each with built-in robes. 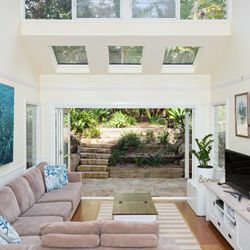 A soaring lofted ceiling links the lounge to the enormous parents retreat. 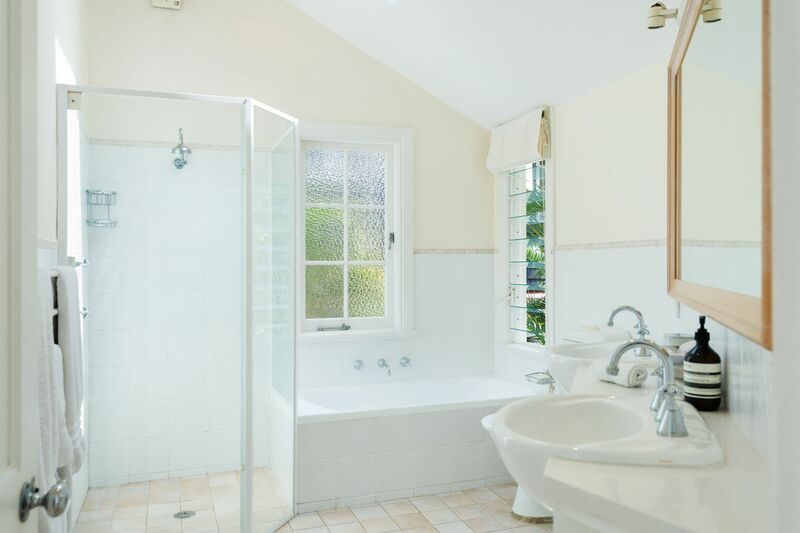 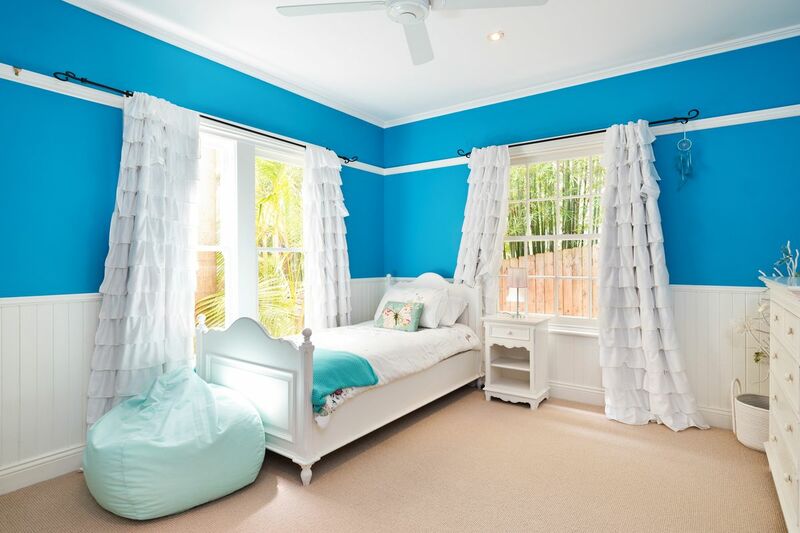 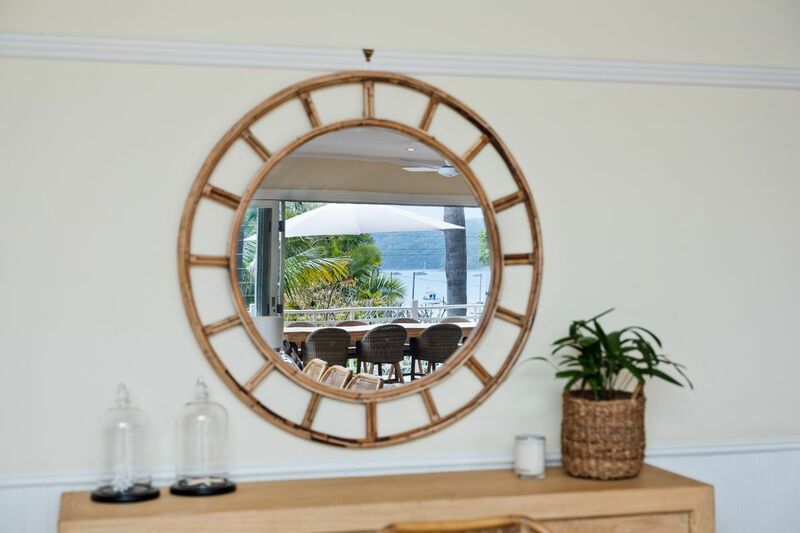 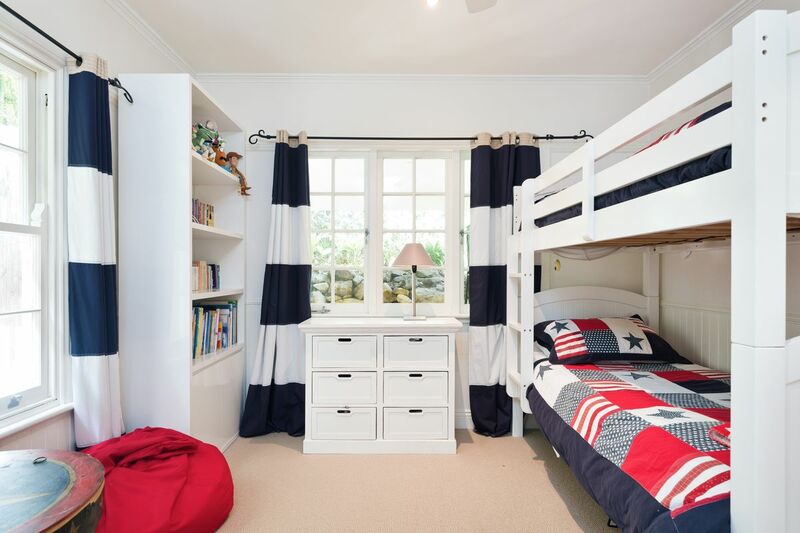 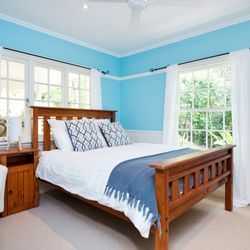 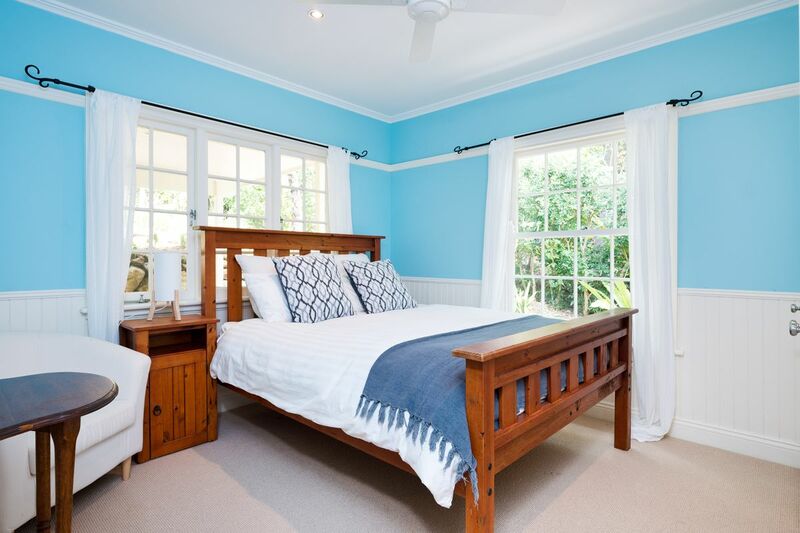 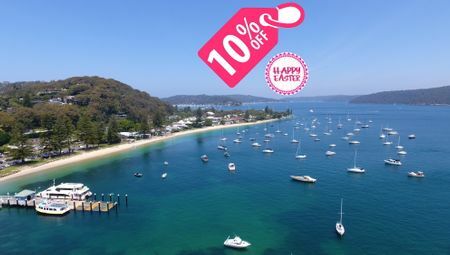 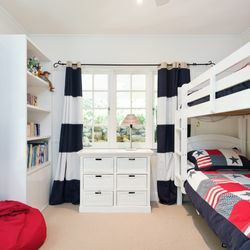 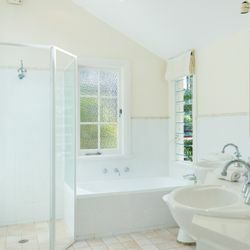 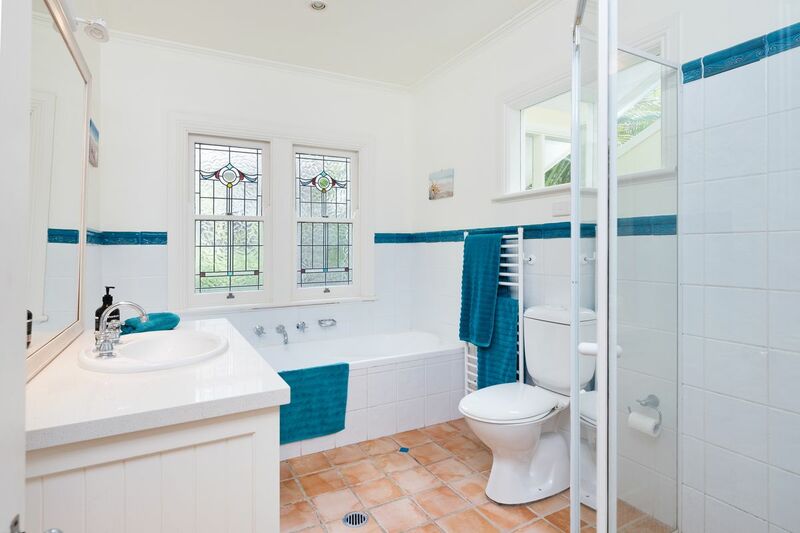 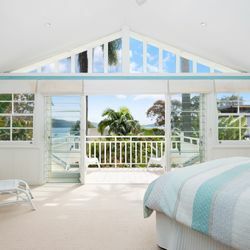 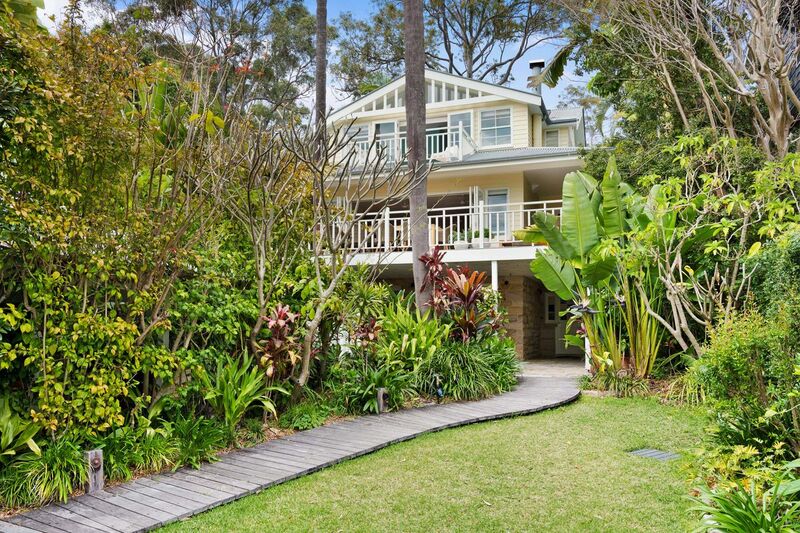 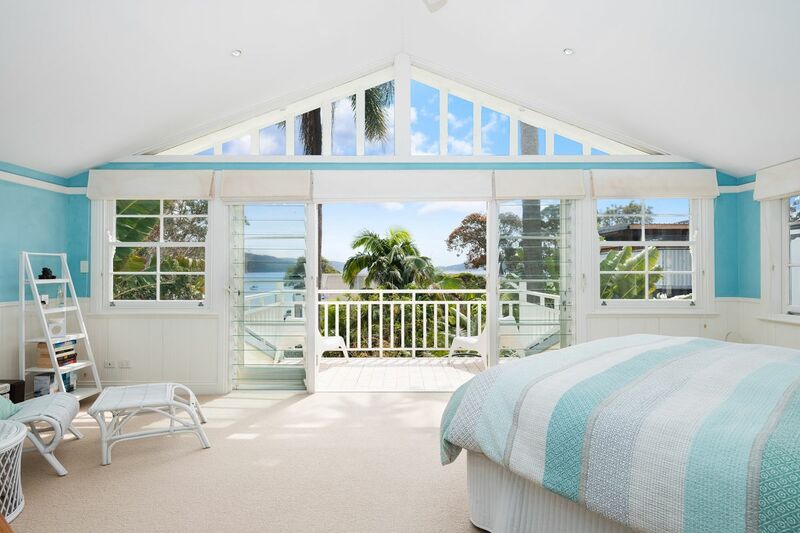 This light-drenched luxurious escape features a stunning master bedroom with sparking Pittwater water views from its private verandah, a huge dressing room, ensuite and 5th bedroom. 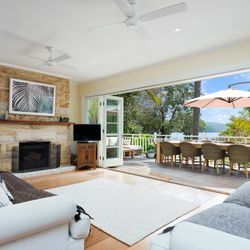 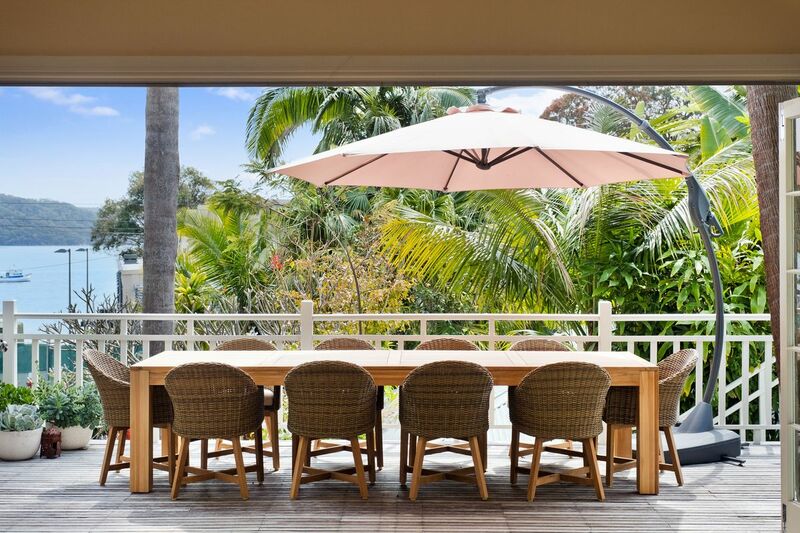 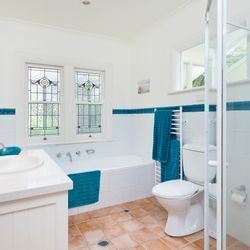 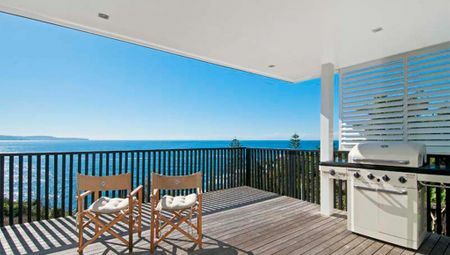 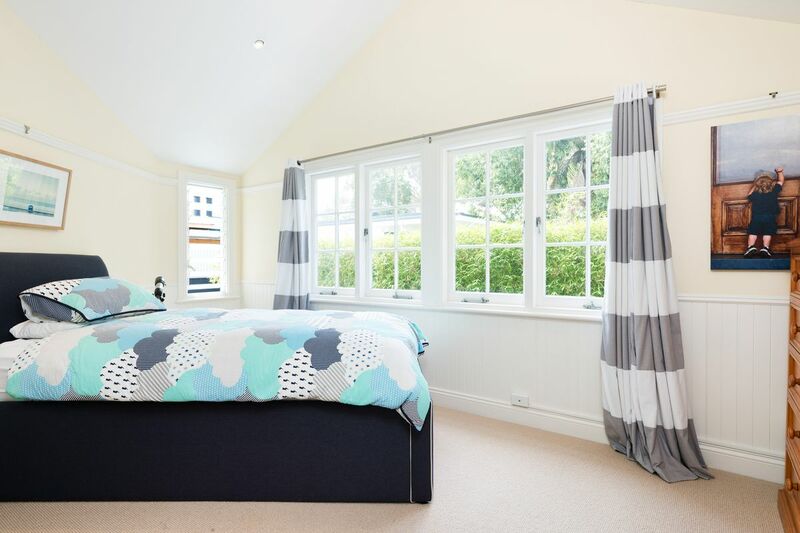 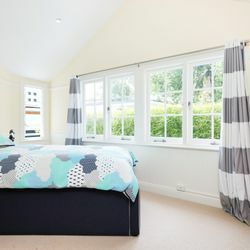 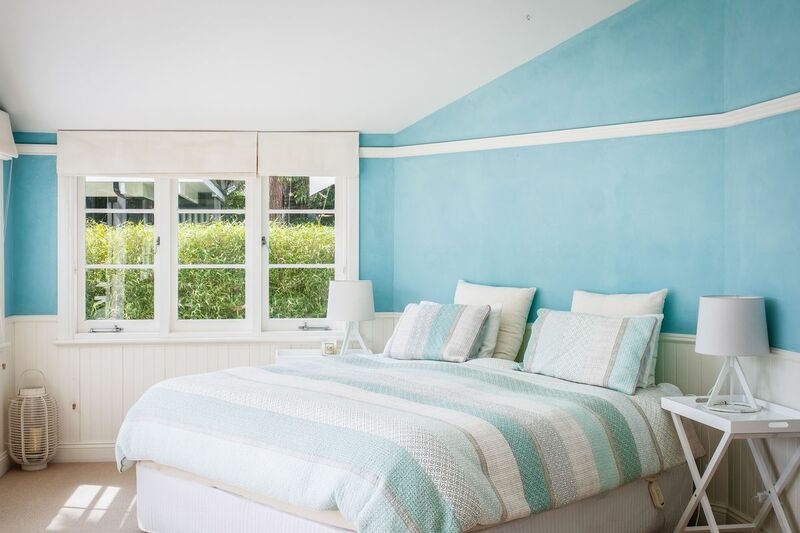 Designed for year round comfort, its north aspect and protected setting provide blissful warmth in the winter months, with banks of louvres offering fresh coastal cross-breezes throughout the home in the summer. 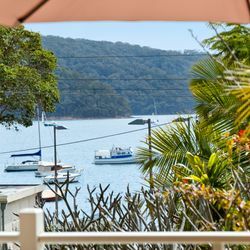 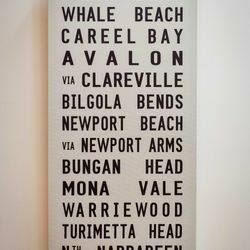 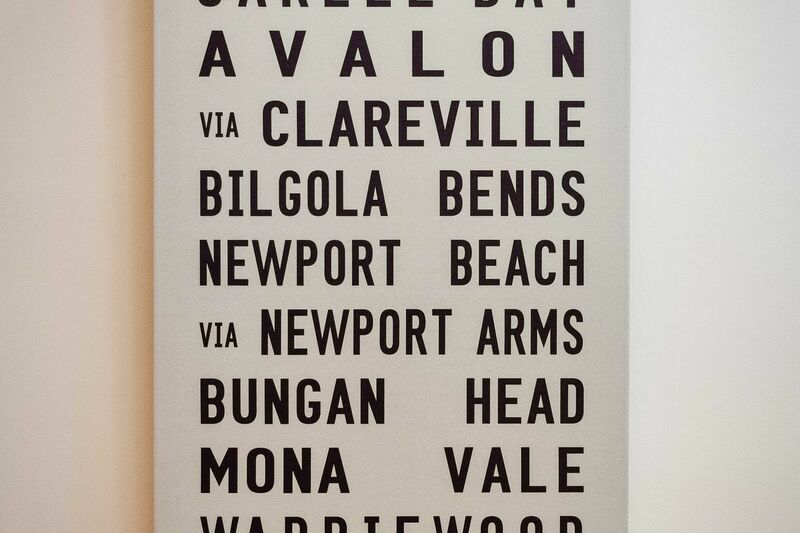 Its setting across from Long Beach and Taylors Point Wharf offer access to fantastic waterfront activities such as boating, swimming, fishing or family picnics at the beach.